For those chasing that extra dimension, the pleasure of travelling self-propelled through a pristine alpine environment, Les Arcs and the Tarentaise Valley offer truly countless possibilities.Apart from the great sense of achievement of ascending AND descending hundreds of metres of vertical in a day, cross-country riding in this area also provides fantastic opportunities to soak up the exquisite scenery, spot perhaps a couple of marmottes or even an eagle, and most importantly, work on that forearm tan! For confident XC and all-mountain riders we strongly recommend a stay at Destination X or one of our Backcountry Weeks. 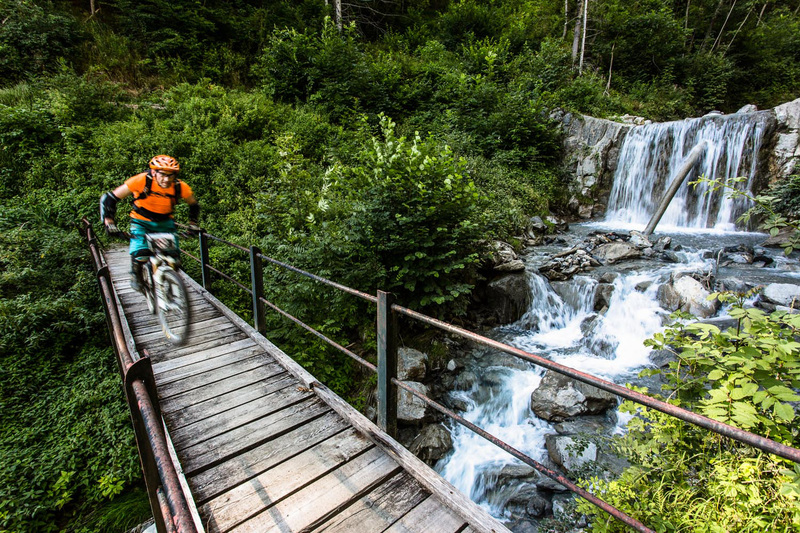 For blue-and-red level trail centre riders looking to step up to the much bigger terrain on offer in the Alps, you should check out our Alpine Improver weeks. We usually plan XC routes with our guests after dinner the evening before a ride. 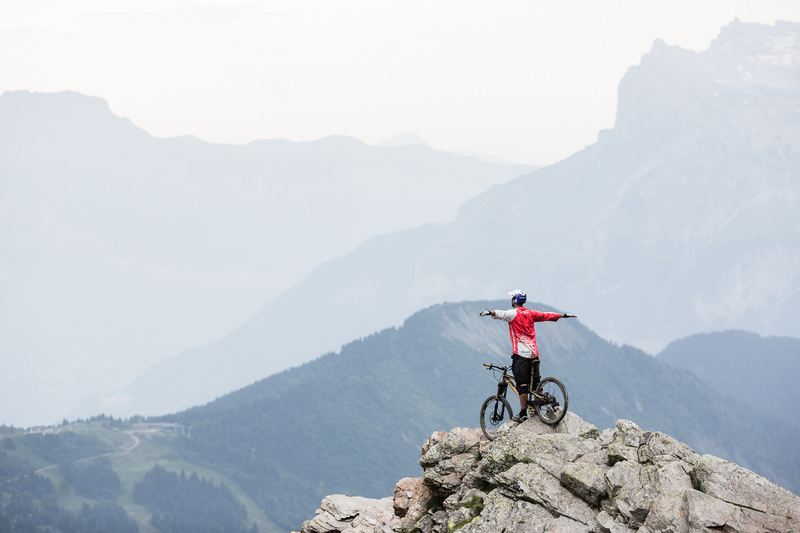 The winning formula tends to be a combination of some of the favourite descents from our lift assisted riding intertwined with a variety of the more interesting ascents to be found on the main Les Arcs mountain. 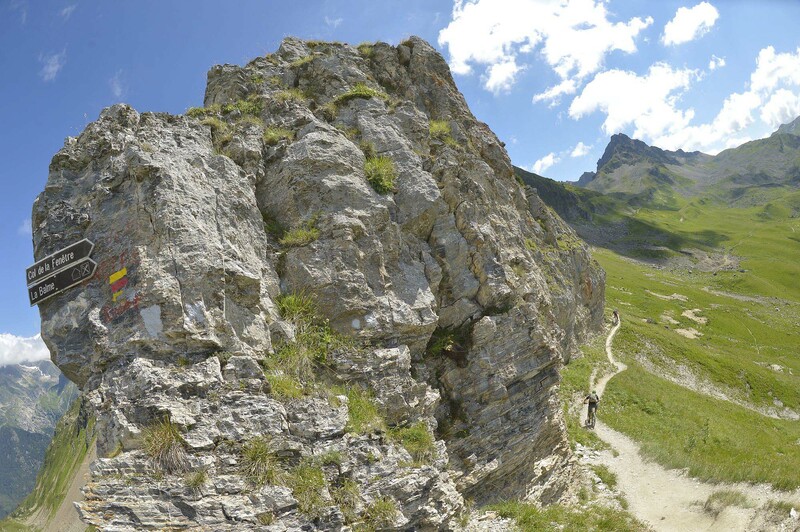 However, we also thoroughly enjoy taking guests off onto all-day epics in such areas as the serenly beautiful Beaufortain Massif to the north, or the outer reaches of the Malgovert and Ronaz forests in High Tarentaise country. If you like the idea of a sunset climb to a remote but comfortable mountain refuge for an overnight adventure, then check out our hut trip options.